Dixie Chick (Kennel Club name Lomali Born To Be Wild), was born on 5th November, 2001. She follows a long line of distinguished family Boxers. 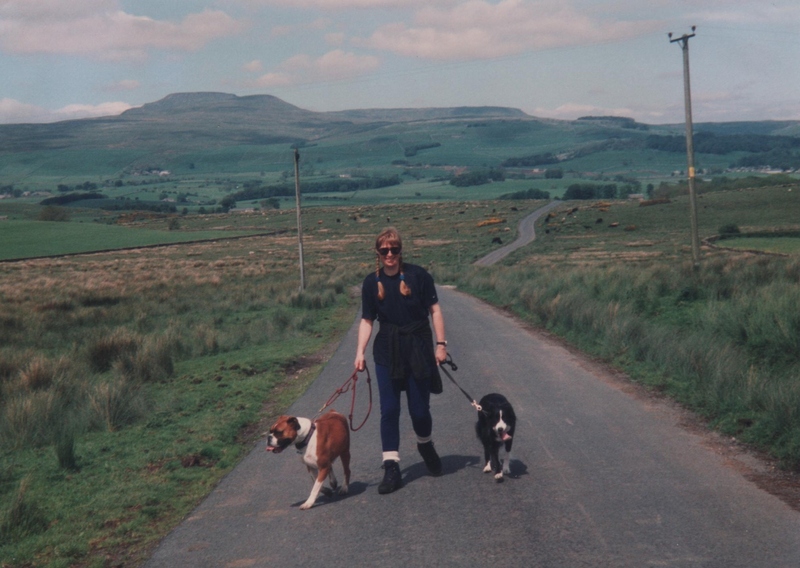 When I was born, many years ago, my parents already had two wonderful Boxers, Candy and Tina. 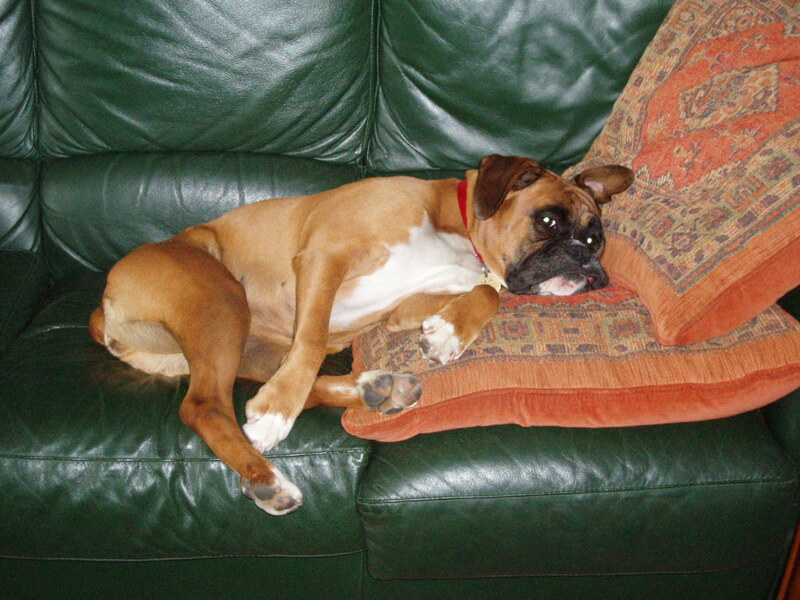 In fact, all my baby photos show me attached in some way to a loving Boxer or two. 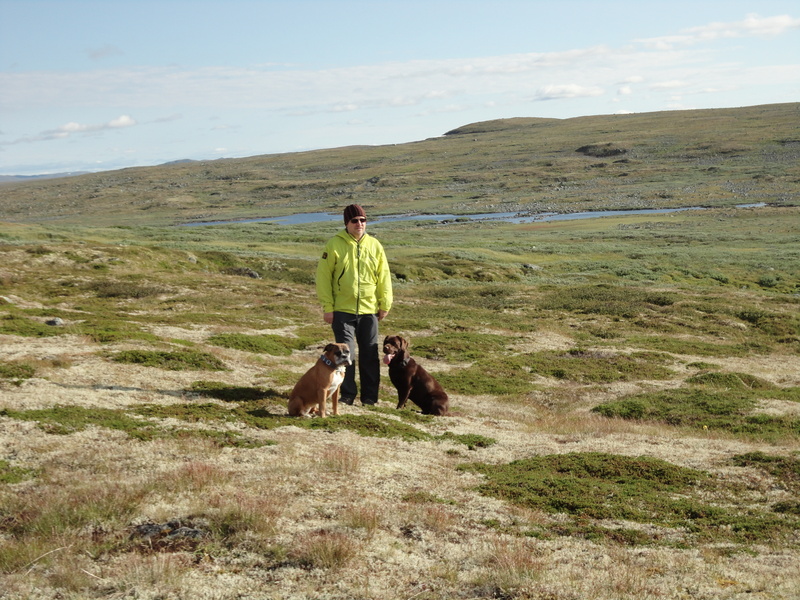 Dixie’s main hobby was running wild in the moors and mountains, and the wilder the weather the better, as far as she was concerned. She also enjoyed TV travel documentaries, especially ‘Swiss Railway Journeys’, but her favourite programme of all time was ‘One Man and His Dog’. Her secret ambition for many years, had been to take part in the Iditarod in Alaska. 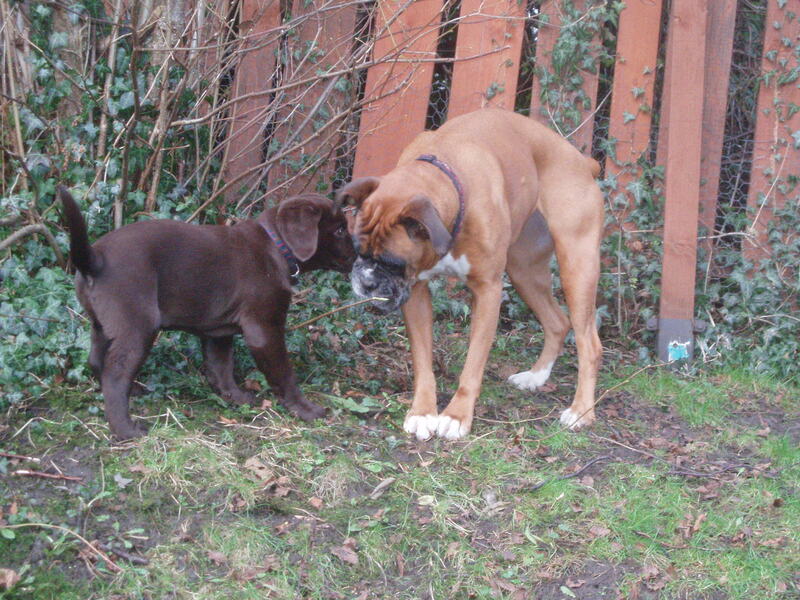 When we got Dixie – as a 7 week old puppy – we had just lost our previous Boxer, Cleo. 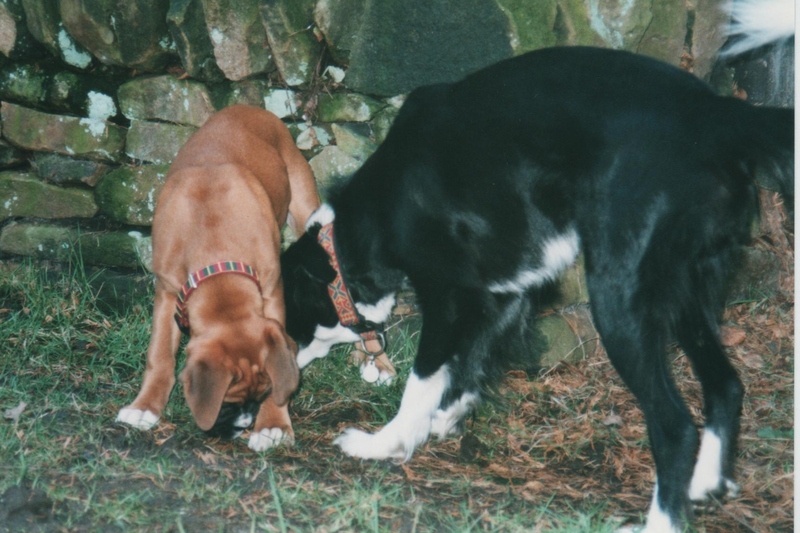 We also had a beautiful Border Collie at the time, called Ragga, who was totally distraught after Cleo died. and when Ragga finally died, at the age of 12, it was Dixie’s turn to be thoroughly depressed. 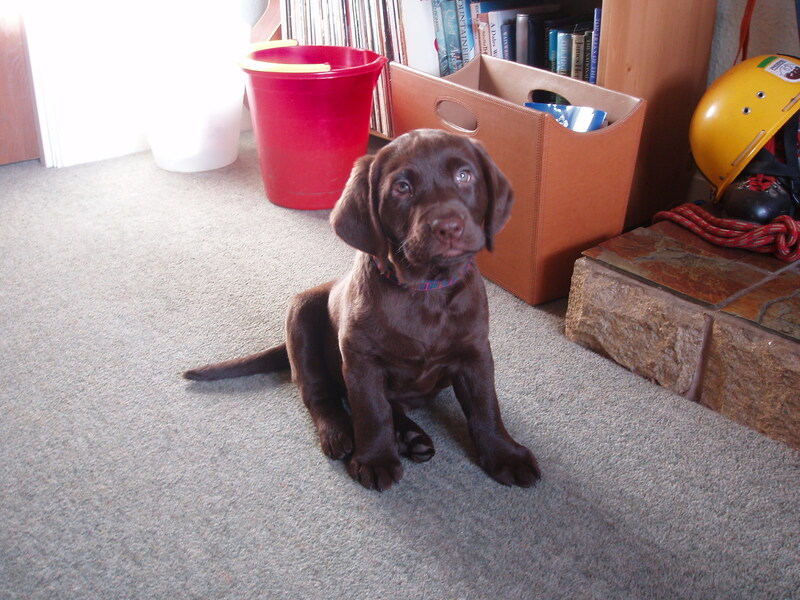 So, in the January of 2009, puppy Tilly joined our family. Dixie and Tilly soon became inseparable, with Dixie taking it upon her to teach Tilly everything she knew, ensuring that Tilly grew up into the well-adjusted Labrador that we now have………..
Back in 2011, they both had their rabies jabs and started enjoying the excitement of international travel. And in the summer of 2012 they embarked on their very first European trip, spending 6 weeks exploring Norway, Sweden and parts of Denmark. 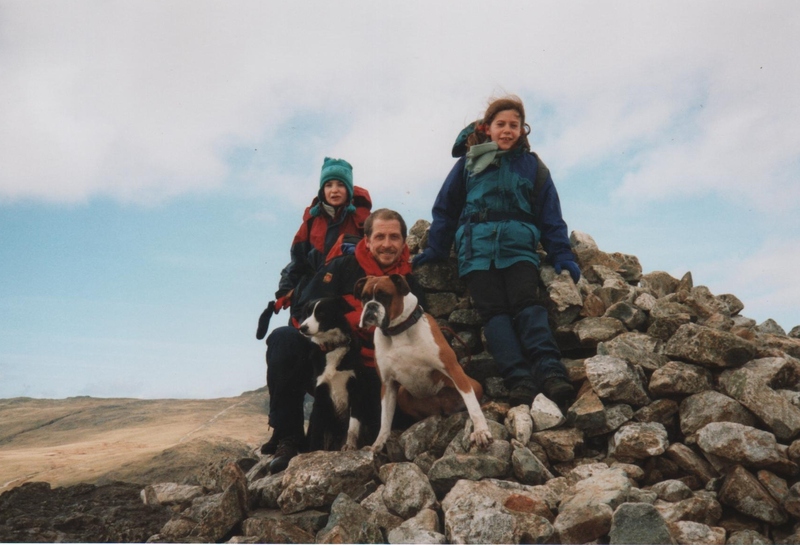 Dixie continued being active in the hills for many years – until she attained the ripe old age of 13, in fact. 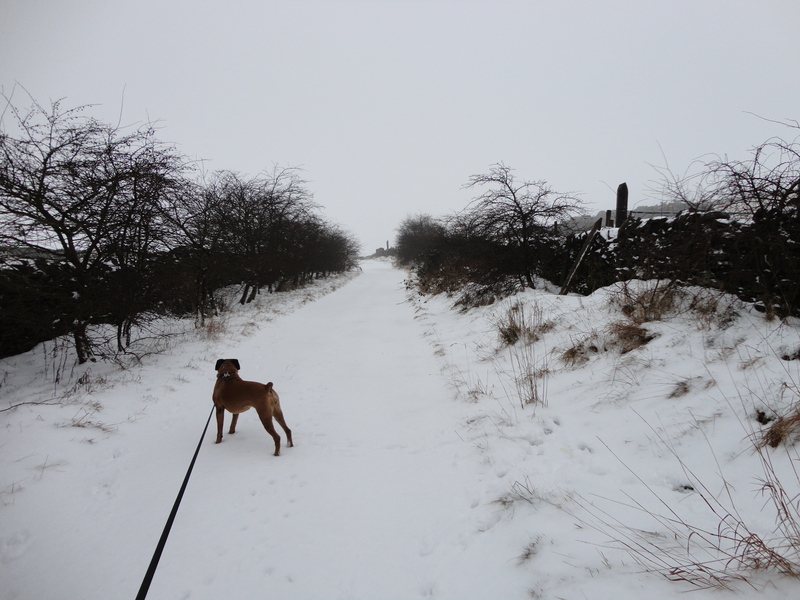 But, time eventually caught up with our special Boxer and she finally made her last journey on 20th December, 2014, just a couple of months after her 13th birthday. She is greatly missed by all of us. Her passing left a deep hole in our lives. This blog will continue to be called Dixie, however, and is now dedicated to her memory. 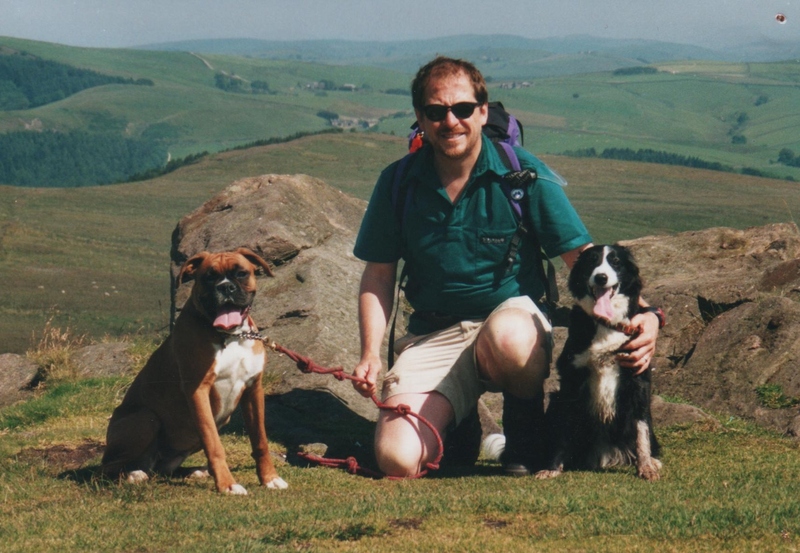 Life moves on though, and we did kind of decide that after losing Dixie we would try life with just the one dog – our precious Tilly. But not long after, Tilly had a resurgence of an old spinal problem and was really struggling with life. With the help of both her wonderful, personal orthapaedic surgeon and our vet, she once again recovered slowly. 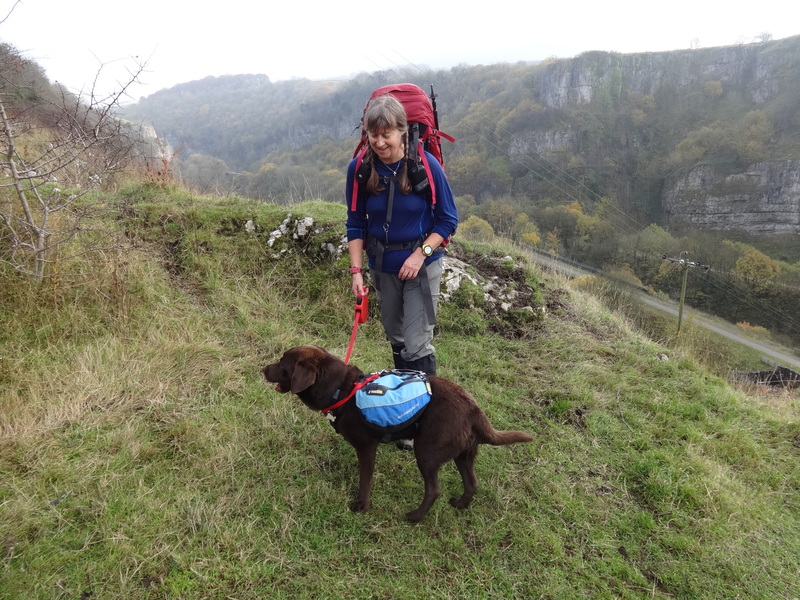 Taking three strong drugs daily for the rest of her life (she also had bad arthritis in her elbows after suffering elbow dysplasia some years back) was not ideal, but it kept her active in the hills that she loved. 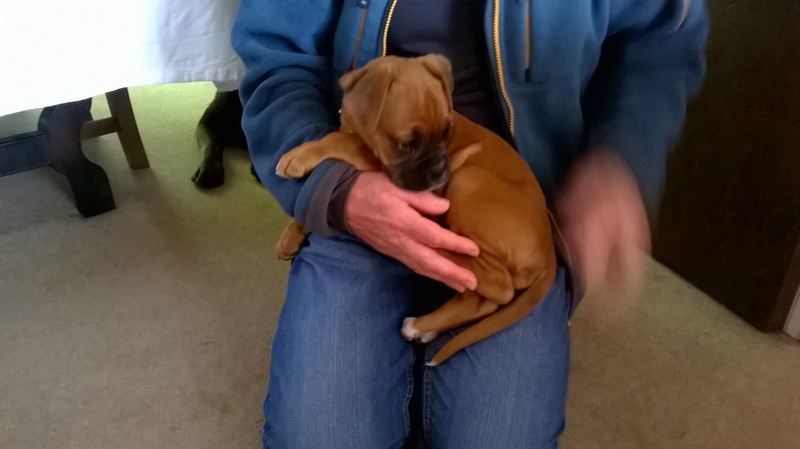 After a bit of a lonely six months for us all, we finally decided that another Boxer was needed in the family, and Pebbles joined us. 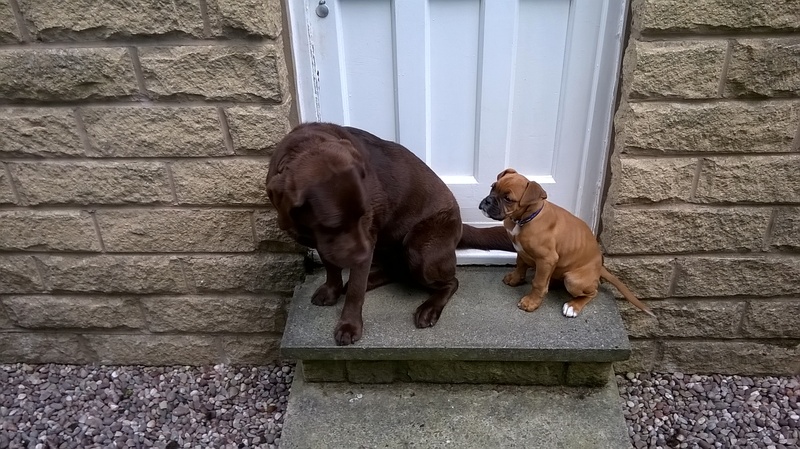 Pebbles and Tilly soon became the best of friends but sadly, more heartache was just around the corner. On exactly the same day – just a year later – all Tilly’s problems finally got too much for her and she went to join Dixie. Dogs enrich our lives so much, but it’s never easy saying goodbye. 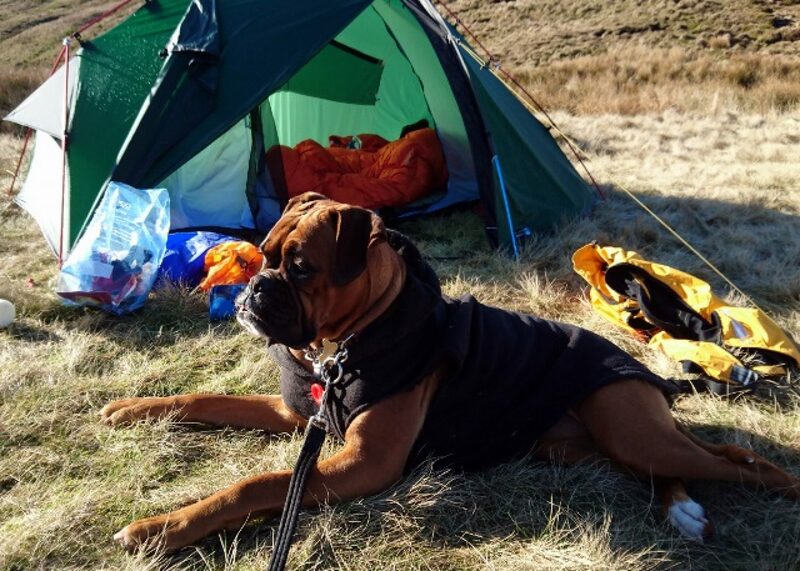 Reuben has not got a kennel club name, but if he ever got entered into a dog show his professional name would be ‘Captain waggles’ after his full body wagg! 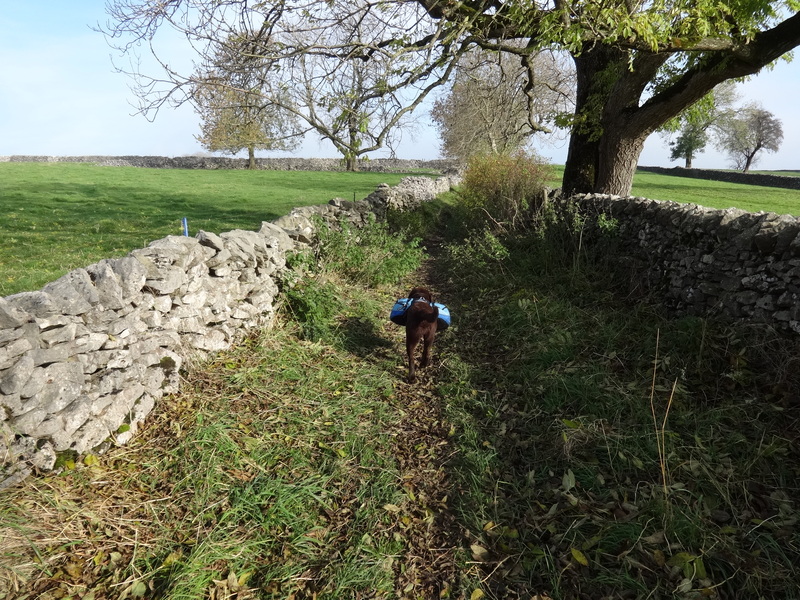 Dixie has a bit of a body waggle too – I always assumed it was because she had a short tail and nothing else to wag! 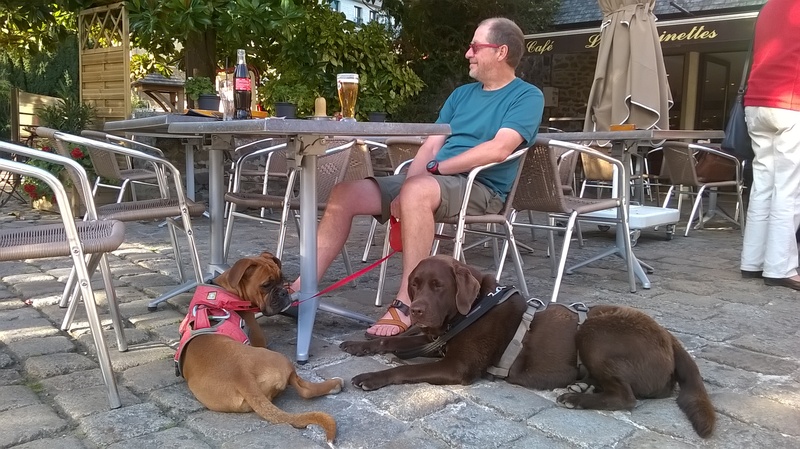 Just been looking at some of Reuben’s photos again – hasn’t he got beautiful brindle markings? Hi Dixie the boxer! I see you have a chocolate lab friend named Tilly. I used to be under the care of a chocolate lab named Dixy. I’ve enjoyed reading about your adventures and looking at all of your beautiful pictures. Yosemite is one of my favorite places on Earth as well! Enjoy Norway! Ha ha ha, absolutely. You better believe it. Sounds like my my! She forgets that she was naughty when she was a kid, my Dad too! How do you start a blog like this?